Unlike shag carpeting, some design elements have a timeless appeal that will ensure that your kitchen is as aesthetically pleasing and welcoming 30 years from now as it is today. If you want to create a kitchen that has a classic look that will never go out of style or seem dated, you should consider incorporating some of the following elements into the room’s design. If you like the idea of having granite countertops but aren’t a fan of the way they can dominate the look of a kitchen, quartz countertops are an attractive alternative. Quartz countertops shine beautifully, like granite, and they need less maintenance than their granite brethren. There’s a reason Quartz has become more popular than granite as a countertop material: they won’t chip. Another reason to love Quartz is that Quartz gives you a consistent pattern throughout your countertops, where granite has naturally-occurring irregularities, and you may not like where they fall in the countertop run. You can now get quartz with swirls and large veining that imitates natural stone, if you like that. 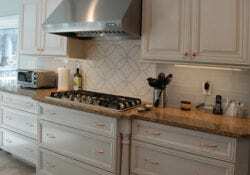 Quartz countertops are nonporous, resistant to heat and won’t get stained or scratched. They’re extremely hardy, can last forever, are easy to maintain and they’re anti-microbial, making them a wise choice for families and/or busy cooks. Who wants to be cooped up in the kitchen when all the fun is happening somewhere else? An open floor plan lets you be part of the action. It supports a casual, connected lifestyle. Drawback: If you’re a messy cook, then your mess will be visible to the entire space. Floor plans for homes come and go, but to keep your kitchen perennially in style, incorporate an open layout into your kitchen remodel. Unless you want to have to update your kitchen every few years to keep it looking fresh and contemporary, it’s wise to use neutral colors. While you may think that limits your choices to white, that’s simply not the case. There are plenty of neutral colors, like cream and beige and their variations, that will look great now and years from now. And then there’s the newest neutral – gray. It’s a popular cabinet finish color and is available in paint or stain. Its modern clean looks will remain a favorite for years. 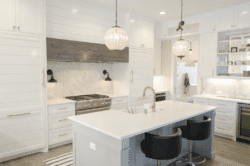 Neutral colors are an important part of any modern design and choosing one for your cabinets in your new kitchen remodel will go a long way to having a finish color that will stand the test of time. While you may be tempted to include an island that’s higher than your counters in your kitchen design, you should resist if your goal is to create a timeless look. Rather than have a high or multi-level island, go with one that’s the same height as your countertops. This will enable light to flow through your kitchen better and it will make your kitchen look and feel more open. 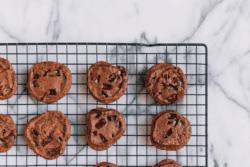 But answer honestly: what kind of cook are you? Are you nice and neat and clean up after yourself as you go? Or are you a messy cook, who puts all your energy into the actually cooking and cleans up after? If you are the latter, then a multi-level might be a better choice for you. You can hide your mess behind the counter. 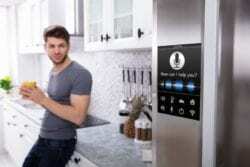 One trend that won’t slow down anytime soon is the use of integrated appliances in kitchens. When you disguise your appliances with paneling that matches your cabinet finish, they will blend in with your kitchen design and cabinetry. This is the ideal look for a modern, sleek contemporary look where no bulky refrigerator front breaks up the line of your cabinets. Integrated appliances also work well in transitional, traditional or even farmhouse style as the panels can be made to fit in whatever style you like. What did we ever do before deep drawers started getting used in kitchen design? Where did people keep their pasta pots and cake pans and all the other kitchen essentials that didn’t really fit anywhere else? 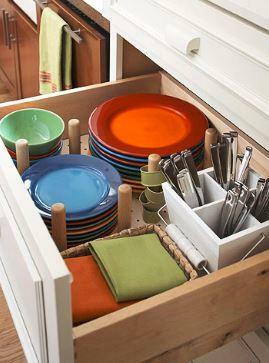 Dish storage systems for deep drawers can store plates and soup bowls; they are ingenious. Extra-deep drawers are more accessible than base cabinets and they’re simple to integrate into a beautiful kitchen design. Deep drawers not only give kitchens a classic, lasting look, they can also keep your kitchen functional and well-organized. This is particularly true when they’re positioned by your stove and food prep area. 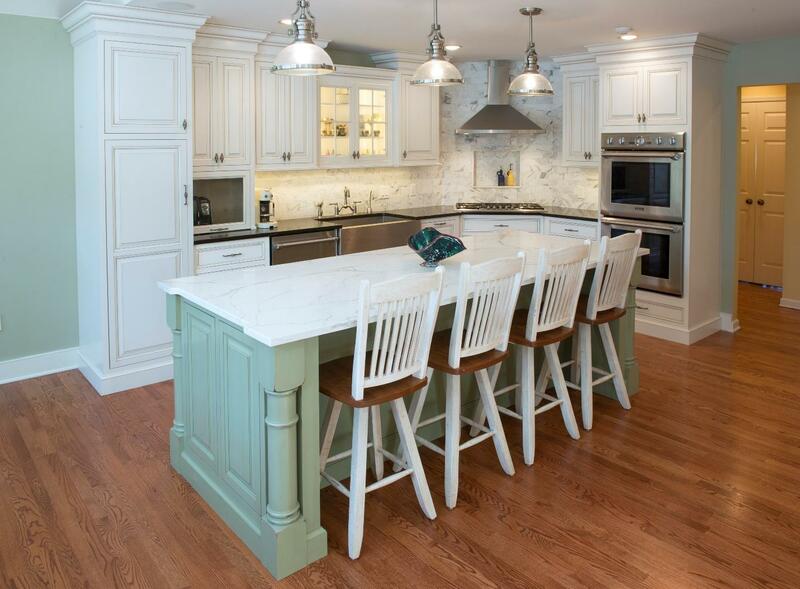 For a timeless look, incorporate less upper cabinetry into your kitchen design. Rather than have more wall cabinets, opt for more windows or use open shelves instead. If you have a fabulous view that you don’t want to cover up with wall cabinets, then go for it. But if you have a family and cook in your kitchen a couple times a day, you are not going to want to have to keep your open shelves looking photo-worthy all the time. To create a feeling of openness, having no (or few) wall cabinets helps to produce this feeling. It makes the kitchen feel larger. And that feeling will never go out of style. If you want to create a kitchen that’s forever warm and inviting, install hardwood flooring during your kitchen remodel. Nothing is better than wood for warmth, durability and classic good looks. Hardwood floors work great in any kitchen design and they unite the rooms in an open floor plan wonderfully. If you want the look of hardwood floors but don’t want to the upkeep of wood floors, porcelain tiles that look like wood make an excellent alternative. These tiles look just like wood and never need waxed and they won’t give you splinters. If you want a kitchen that incorporates timeless design trends, let Craig Allen Designs create an enduring kitchen design for you. Contact Craig Allen Designs to schedule a consultation today.